I love Friday's on Twitter. You get a chance to pick your favorite people and give them a shout out so to speak. 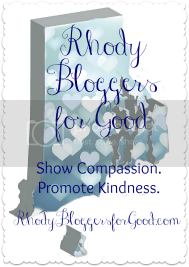 Today, I thought I'd do it on my blog. As some of you know, I'm helping to run the social media for a new company. This is a company that I truly believe in and I want to share it with you all. Pest Free Environment is dedicated to providing you and your family pest-free, hygienic restaurant options to ensure your good health. 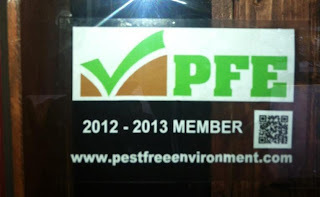 When you search the PFE database of members or see the PFE logo at the entrance of your favorite restaurant, you may dine with confidence, knowing that your food is being prepared in an area that is kept to a high standard of pest-free cleanliness. The logo at the entrance of the restaurant, is a sticker that looks like this. I feel so passionate about this. Growing up with a dad who was so involved in the restaurant business when I was a child, I remember him drilling into my head that you never know what someones kitchen looks like and to be careful where you eat. The sad reality is that the health department can not get out to visit restaurants that often... and you really have no idea what things are like on the inside. Still, it never fails to shock me to see that a restaurant is not being kept clean inside. I think back to my high school and college days working at Papa Gino's and for mostly teenagers staffing the place, we did a great job keeping everything clean. I wonder how other places can't seem to do the same. In addition to the health department not being able to get out to restaurants as much, you would be amazed - amazed - at how many restaurants end up with a pest problem, are required to show proof of a service contract to the health department, only to cancel that contract right after that. On the books it looks like it is all set. But it isn't. What most people do not realize, is that pests actually cause illnesses. Have you gotten food poisoning? It might not have been from something undercooked or mishandled. Cockroaches for example, transmit bacteria on utensils, plates, food and prep surfaces - which can lead to gastroenteritis-related illnesses such as food poisoning and dysentery. It horrifies me that there is not really a national standard of some sort, something to keep things in check better. Which is where Pest Free Environment (PFE) is coming in. Started in Rhode Island (so proud of my state), it is going nation wide. 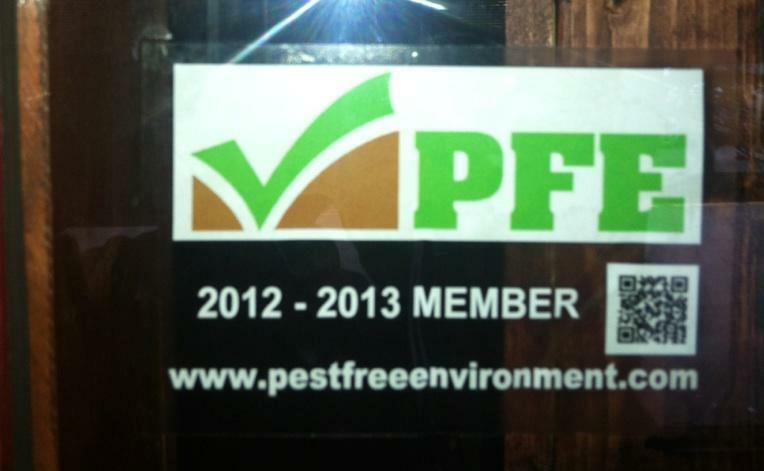 When a restaurant signs on with PFE, they have to provide their service contract with a pest control company. The sticker in the window is only good for as long as the service contract is. The pest control service is not because there is a problem with the restaurant, but because they are being proactive. Pests can get into even the cleanest restaurants off of a delivery truck. With regular pest control service, you know the restaurant is clean and you can dine with peace of mind. I think this is amazing. In the few weeks I have been working on the social media end, I am horrified at the restaurant closings I see across the country on a daily basis. I have learned so much it is scary. We can do better than this. So my Follow Friday vote is for Pest Free Environment. In addition to their website, you can also follow up with them on Facebook and Twitter. Visit their pages, give them a like or a follow, and get involved in the conversation. Ask your favorite restaurants to join PFE. A family member of mine services restaurant kitchens and it has been said that the cleanest kitchen ever seen was Angelo's on Federal Hill. I won't say the name of the filthiest, but for the money they charge, they can clean it up. I worked in quite a few restaurants in college and have seen some things that are awful! Then I went to school and became a microbiologist so that makes even crazier things run through my mind about food safety! I love that initiative! oh kameron... i can just imagine! i feel like i'm about ready to stop eating out until i see more of these PFE stickers. This is amazing...and also we just recently heard mice running over our head in the attic! UGH! That is awful! I actually heard of something right where I work. I will not be telling the story here as it was horrific!